If you love unique architecture, scenic views, art, music and great food, the city of Vancouver in British Columbia should definitely be on your must-visit list. Stroll along the water’s edge in Stanley Park, visit the Museum of Vancouver, see rare marine animals at Vancouver Aquarium and explore Vancouver’s vibrant neighborhoods, including Gastow, Granville Island and Yaletown. Best Things to Do in Vancouver, British Columbia with kids include English Bay Beach, the Vancouver Maritime Museum and the Rocky Mountaineer Train. 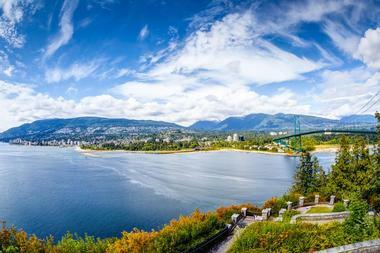 Vancouver residents adore Stanley Park. 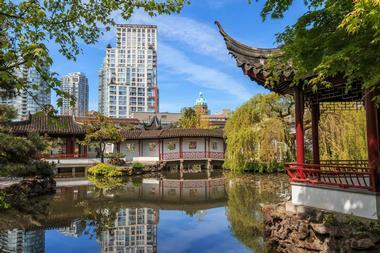 It is the city’s largest urban park and a national historic site that serves as a rich, verdant oasis in the center of the city and is one of the top Vancouver BC attractions. Its 400 hectares of space has features typically found in just about any West Coast habitat. In one stroll, you will go through the rainforest, by the sea, through the mountains, and along the seawall. It’s a place where you can enjoy solitude, watch birds, admire sweeping trees, or play on the beach or on the tennis or golf court. You will also see Native American totem poles scattered around the park as well as many other art pieces that complement the art nature has created in the form of the thematic gardens. Take a mini train or a horse carriage to make your exploration even more pleasant. The park is also home to the Canada’s largest aquarium, but you’ll need another day to see it; it’s an absolute delight that should not be rushed. When the weather is nice, the citizens of Vancouver go out, and many end up at the Seawall, the world's longest waterfront path and one of the best things to do in Vancouver. 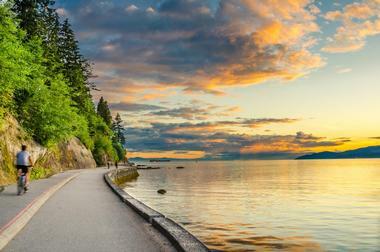 The Seawall is a long uninterrupted path that runs the length of the Vancouver waterfront from the Vancouver Convention Centre all the way to Spanish Banks Park. 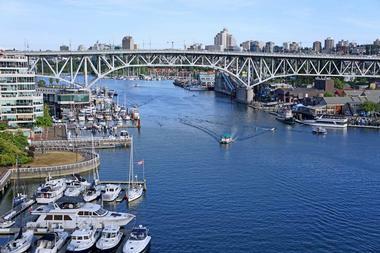 Along the way, you will pass Burrard Inlet (Coal Harbour), Stanley Park, False Creek, a section that overlooks Granville Island, and finally end up at Kitsilano Beach Park. You can take a walk, go for a jog, or bring a bike or roller skates, and have some fun in the fresh air, enjoying spectacular views of the city throughout the trip. It will take you two to three hours to walk around Stanley Park alone, so come prepared; bring snacks and drinks, and probably an umbrella as well, considering the weather in Vancouver. The Museum of Vancouver, located on Chestnut Street in Vanier Park, is the oldest museum in Vancouver and the largest civic museum in Canada. 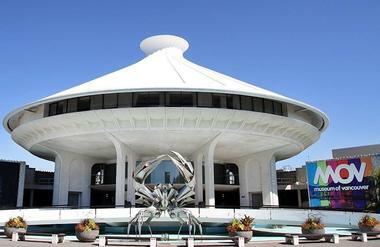 Formerly known as the Vancouver Museum, it was founded in 1894 by the Art, Historical, and Scientific Association of Vancouver, and is devoted to Vancouver-related exhibitions and programs. The Vancouver Museum became the Museum of Vancouver in 2009, and its permanent collection of over 65,000 items recounts stories of Vancouver from the early 1900s through the late 1970s. In addition to its permanent collection, the museum also displays compelling temporary exhibits. The museum’s home was built in 1967 and includes a planetarium. Vancouver is comprised of colorful and lively neighborhoods, but Gastown, a neighborhood as old as Canada, stands out. The first building erected in Gastown was a saloon in 1867, and the area continued to be pretty rough and tumble even after it was incorporated into the city of Vancouver in 1886. It wasn’t until the 1960’s that the city residents realized they were in possession of a historical treasure that simply couldn’t be demolished. At that moment, the revival of Gastown began. 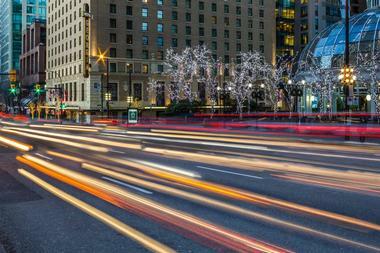 Today, it is one of the most vibrant, hip, and popular neighborhoods in Vancouver. You’ll find a fun mix of new and old and casual and upscale; the neighborhood is both a tourist attraction and the place where many feel at home. You can stop by Jules Bistro for piano night, the Pourhouse for Sunday Jazz, or to the Salt Tasting Room for tapas and good Spanish wine. You’ll always find something to do in Gastown. The Vancouver Aquarium is first and foremost a center for marine conservation, research, and animal rehabilitation, but it is also one of the most popular attractions in Vancouver. The Aquarium is the largest in Canada and one of the largest in North America. It covers over 100,000 square feet and is home to more than 50,000 animals. Depending on their origin and habitat, animals are displayed in a number of fascinating galleries. If you are wondering what to do in Vancouver with kids, this is a great place to visit. Many animals such as dolphins and whales can be seen in live shows and some can be visited during feeding time. Visiting the Vancouver Aquarium is fun for the entire family, and the kids are guaranteed to love it. 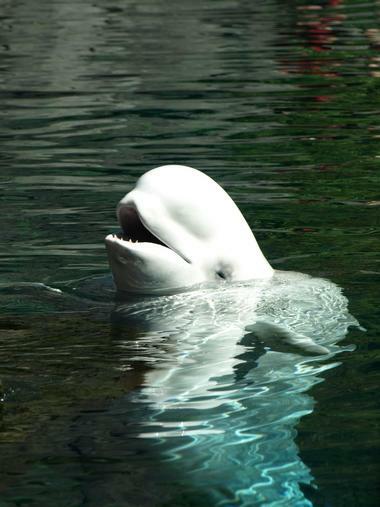 If they happen to ask, tell them that they do not catch whales to put them in the aquarium. They bring them in if they are hurt or need help, or they transfer them from another aquarium. They call Granville Island “Vancouver’s Town Square.” If you took all the essential elements of Vancouver, condensed them, and put them in one area, you would end up with something like this unique urban oasis. It reflects the city’s multicultural, multiethnic vibe and is incredibly exciting and fun. Take a stroll around the area and try to take it all in: waterfront restaurants, galleries, theatres, studios, shops, cafes, and the market, which is one of the most popular features of the island. Check out the produce that grows in the area, see what the fishermen caught in their nets that day, pick some flowers for your darling, grab something to eat, or simply relax by the water and watch the world go by. Take the kids to the Adventure Zone or the Water Park, catch a show, visit the brewery, or rent a boat and go out on the water. On the way back, take the colorful Aquabus and enjoy a 25-minutes tour of False Creek, which will allow you to see the city from a fresh perspective. 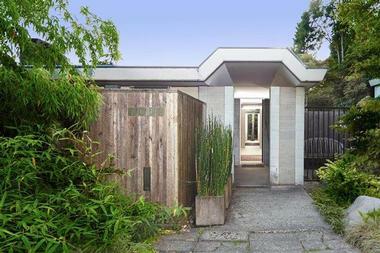 The Vancouver Heritage Foundation takes the conservation of Vancouver’s culture very seriously. They provide walks, tours, talks, special events, and grants to ensure that the city’s heritage is properly recognized and celebrated. By taking a tour of one of the registered historic buildings or landmarks, you not only enjoy visiting a piece of Vancouver history, but you contribute to the city’s survival. No matter how much of an enthusiastic foodie you are, there is no way you can navigate all the culturally and ethnically diverse cuisine a city like Vancouver has to offer by yourself – you need local foodies to take you around and show you all the best places. That’s where Vancouver Foodie Tours step in. Even they do not claim to be able to show you absolutely everything, but they do their best to come close, and the results don’t disappoint. You have three options: Guilty Pleasures Gourmet Tour, a three-hour walking tour that includes 14 tastings, eight stories, and four courses, Granville Island Market Tour, which lasts for two hours and includes 20 tastings and ten stories, and World’s Best Food Truck Tour, a two-hours tour of four courses, five tastings, and nine stories. Dr. Sun Yat-Sen Classical Chinese Garden is one of the most beautiful and most peaceful spots in Vancouver’s bustling Chinatown. The garden was the first traditional Chinese garden created outside of China and was designed to resemble the home of a Ming Dynasty scholar. Named by the father of modern China Dr. Sun Yat-Sen, the garden is designed like a mosaic of surprising horticultural elements, and cannot all be seen at once. Take a stroll along narrow winding paths, through intricate moongates, under the lacy branches of willows, passing by ponds full of gold fish. The best way to really see and understand the philosophy behind the garden’s design is with the help of a 92-year-old Chinese guide Julian Law, who is himself a part of the garden’s magic. As you enter VanDusen Botanical Garden through its whimsical visitors center, you’ll find it hard to believe that it used to be a golf course. Today, you can stroll through 22 hectares of carefully maintained, elegant landscapes, and go from one ecosystem to another, from the Mediterranean to Louisiana and from the Himalayas to the Pacific coast. The garden is also home to a number of celebrated sculptures from renowned artists such as Bill Reid and David Marshall. The best way to enjoy the garden is to stroll through it aimlessly and leisurely. If you are the organized type, however, you can take advantage of the regular guided tours. The garden is always organizing courses of all kinds, from art and photography to gardening, ecology, and botany. To keep the garden in its exquisite shape, 16,000 volunteers dedicate their time and energy to its upkeep. 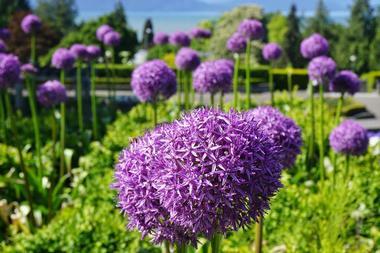 Queen Elizabeth Park is a horticulturalist’s dream. Start your journey with the resplendent Bloedel Conservatory, which features a tropical retreat full of flowers, trees, and free-flying birds. Just outside of the Conservatory is Henry Moore’s magnificent sculpture Knife Edge - Two Piece surrounded by the famous Dancing Water fountain and meandering walkways. A former quarry is now home to the thriving Quarry Garden, which has enormous specimen trees, perennials, shrubs, bulbs, and annuals, all of which have bright and vibrant colors. Take a moment to appreciate the beauty by the cool stream or listen to the peaceful sound of the waterfall. 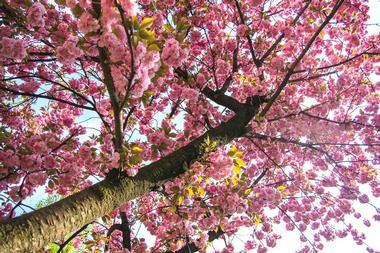 Don’t miss the Arboretum, which has more than 1,500 trees from all over Canada. If you happen to visit during rose season, the Rose Garden will take your breath away. Before leaving the park, remember to take some pictures, because the view is out of this world. 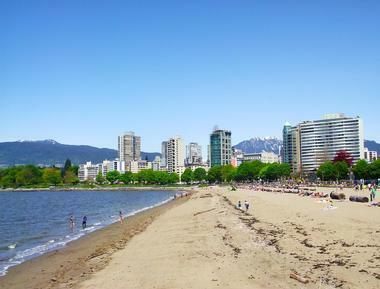 You can see English Bay Beach while strolling along the Seawall; taking a walk on the fine sand or cooling off in the sea are just a couple of activities that will tempt you along the way. It’s a fun and lively place where there is usually some kind of beach volleyball tournament going on. On New Year’s Day, the beach serves as the starting point for the annual plunge of the Polar Bears Swim Club into the freezing waters. During the warmer months, you can rent a kayak or enjoy the slide from the large swimming deck. The craft beer culture of Vancouver is thriving. There are all kinds breweries, both big and small. 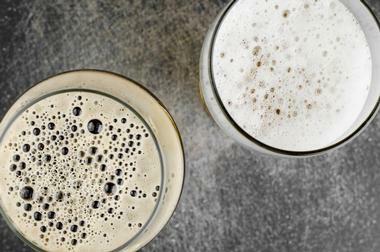 The city naturally has pubs, bars, and restaurants that sell various varieties of beer, and it is rife with bottle makers and label designers, as well as journalists who follow their developments. And, of course, there are tourists who want to see and sample it all. Come to Nitobe Garden in the spring to see the cherry blossoms, in the summer to see the irises, and in the autumn to see the maples. Throughout the rest of the year, come to admire a tranquil Koi pond, stone lanterns, bubbling streams, and magnificent waterfalls. And, of course, be sure to visit the teahouse and take part in the traditional tea ceremony. As you stroll through the garden, you will feel a compelling sense of serenity. Every tree, blade of grass, pebble, or flower is in perfect balance with the surroundings, which is what makes visiting Japanese gardens such an experience. And Nitobe is as authentic as you can get outside of the islands of Japan. The garden is a memorial to the great Japanese agriculturist and philosopher Inazo Nitobe, whose goal was to be “a bridge across the Pacific.” Through the garden, which celebrates Japanese art and culture, he has achieved his goal. Stretching north of downtown Vancouver from Main Street to Richards and east to Gastown is Vancouver’s oldest and liveliest neighborhood. It still has its independent spirit and retained much of its historic charm with beautiful Victorian homes that now house unique fashion shops, décor boutiques, modern galleries, and some of the best eateries in Vancouver. 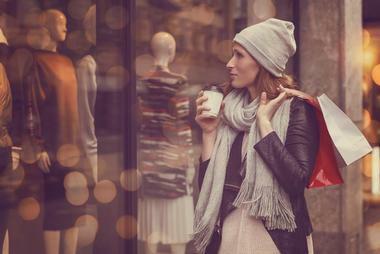 Gastown is a great place for exploring on foot and is equally popular with tourists and stylish locals. Take a stroll along cobblestoned Water Street with its picture-perfect old buildings, vintage lampposts, and the famous Steam Clock. At the end of Water Street you can see a statue of Gassy Jack Deighton, who started it all. Located on Hastings Street in downtown Seattle, the Vancouver Lookout Tower sits on top of the Harbour Centre business building. The Harbour Centre building and the Vancouver Lookout Tower combine to make this one of the tallest buildings in the city. 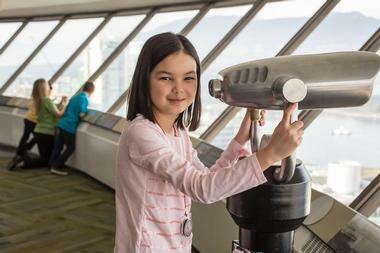 One of the most prominent landmarks of Vancouver, the viewing deck offers 360° panoramic views of the city and outlying areas. Officially opened in 1977 by astronaut Neil Armstrong, visitors reach the tower via glass elevators that go from the street level to the top in about 40 seconds. The tower gives educational tours and ESL tours and is available to rent for special events like weddings. More places to visit: 23 Best Things to Do in Toronto. 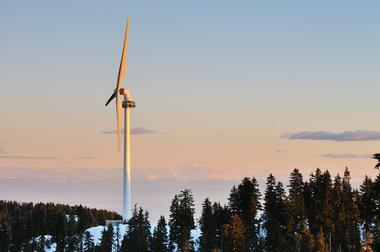 Since 2010, visitors to Grouse Mountain have been able to experience the thrill of The Eye of the Wind, located on Nancy Greene Way on the Peak of Vancouver, is an attraction that features a clear glass viewing area at the top of a wind turbine. From the glass enclosed viewing area, visitors are able to stand within nine feet of the rotating blade, and they can also take advantage of outstanding 360° panoramic views of the area. The Eye of the Wind is not just a fun attraction; it is an educational experience that allows visitors to learn about wind energy. It also has the Sustainability in Motion program, which is geared towards teaching youth about the environment and alternate forms of energy. 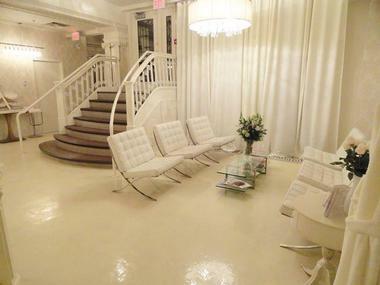 Breathe Spa is centrally located in the lower level of the magnificent and historic Rogers Building in the heart of the Vancouver business district. White marble steps lead from the entrance of the spa into the cool, serene, interior steeped in history and exuding an aura of relaxation. Breathe Spa is the best place to go in Vancouver for a unique and totally personalized facial treatment and a bit of pampering you won’t find anywhere else. Located on Cambie Street at the top of Queen Elizabeth Park, the Bloedel Floral Conservatory is a domed conservatory that displays tropical birds and plants. 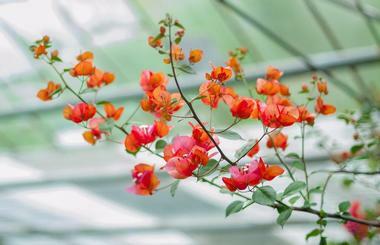 The temperature-controlled conservatory is home to more than 500 exotic flowers and plants as well as over 200 free-flying birds such as African parrots, Chinese pheasants, and macaws. Opened in 1966, the conservatory has since been designated as a heritage building. It is made up of three climate zones including the Desert Zone, the Subtropical Rainforest Habitat, and the Tropical Rainforest Habitat. The Jewel Box of Lights, the Walk in the Tropics, orchid shows, and sculptures are some of the exhibits and events that take place at the conservatory. 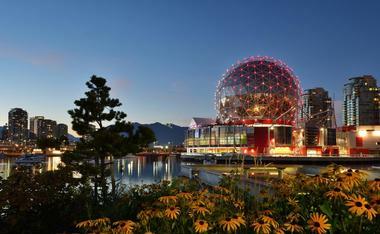 Science World at Telus World of Science is a science center located on Quebec Street at the end of False Creek. The center, formerly called the Expo Centre during Expo 86, has many permanent displays along with interactive exhibits. It contains galleries, a 400 seat OMNIMAX theater, a science theater, and a science store. The center runs several education programs such as On the Road, a program that takes science into communities and schools; and the Super Science Club where teachers from Science World hold after-school programs in city schools. The center also offers classes, camps, and camp-ins, and hosts birthday parties. 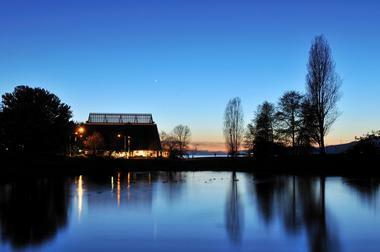 Located on Marine Drive, the UBC Botanical Garden and Centre for Plant Research is the oldest university botanical garden in Canada. The Botanical Garden was founded in 1916 and today consists of 110 acres. In 2002, the UBC Centre for Plant Research joined with the UBC Botanical Garden, both of which are a part of UBC’s Faculty of Science. The Botanical Garden is home to more than 8,000 different kinds of plants and contains many different kinds of gardens such as an alpine garden, an Asian garden, and a food garden, among others. The garden also includes the compelling Nitobe Memorial Garden. Lectures, tours, and workshops are held at the Botanical Garden, and an apple festival and a tea ceremony are some of the events that take place there. Robson Street is a popular dining and shopping street and fashion district in downtown Vancouver that runs from Burrard Street to Jervis. Robson Street was one of the first streets in Vancouver and was named after John Robson, a former premier of British Columbia. After the arrival of many German immigrants after World War II, Robson Street became known as Robsonstrasse. There are 150 shops along three blocks of Robson Street, with everything from small boutiques to big-name stores, as well as places to eat and drink – there are coffee shops, ethnic restaurants, fine dining, sports bars, and more. Vehicle enthusiasts will appreciate the many rare cars and motorcycles cruise on the street during summer weekends. Wild Whales Vancouver is a company that offers tours along the Pacific Coast where guests see many kinds of wildlife including, of course, whales. The tours depart from Granville Island in the downtown area of Vancouver. Wild Whales Vancouver uses three boats, Orca Maru, Pod Pilot, and Quick Change 11, all of which are safe, have been certified, and have a bathroom on board. They also have equipment that allows guests to hear the sounds of the whales under the water. 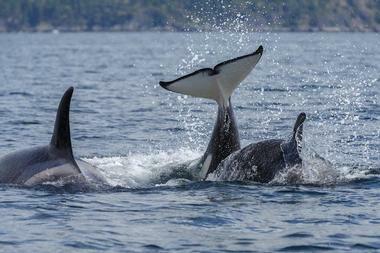 Typical animals seen during the tours include birds, dolphins, killer whales, and sea lions, though there are others. Tours last between three and seven hours, because the guides want to make sure that guests have the chance to see the wildlife. 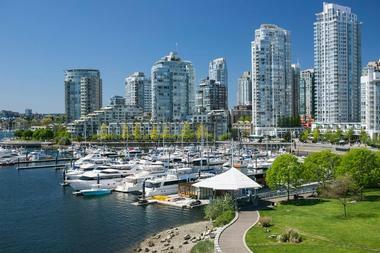 Bordered by False Creek, Homer Street, and Robson Street, Yaletown is a neighborhood in downtown Vancouver. In earlier years, Yaletown was an industrial area with rail yards and warehouses. 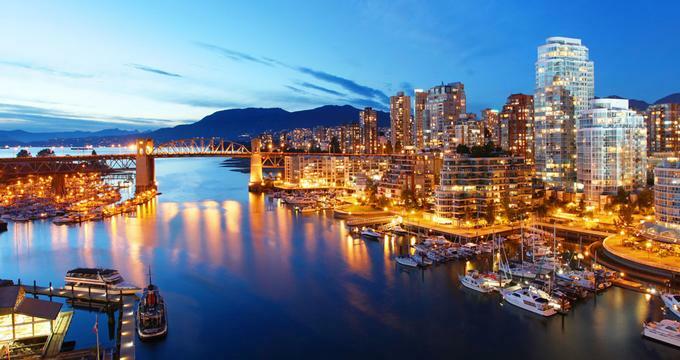 One of the most important urban regeneration projects in North America, Yaletown has since been transformed into a vibrant neighborhood with loft-style apartments, marinas, parks, and renovated historic buildings. There are many fantastic bars, boutique shops, and restaurants in Yaletown, ensuring the area is always bustling with activity. Some of the attractions include the No. 2 Engine 374 Museum at the Roundhouse and the famous Seawall Walkway and Bike Path. Yaletown also hosts events like a farmers market, musical performances, art work exhibitions, and Pet-A-Palooza. Located on Ogden Avenue in Vanier Park, the Vancouver Maritime Museum is a museum that showcases the nautical history of Vancouver, British Columbia, and the Canadian Arctic regions. Established in 1959, the museum was originally a centennial project. Today, the two main vessels in the museum’s collection are the St. Roch and the RV Ben Franklin, a 1968 manned deep submergence vessel. The St. Roch is a 1928 Royal Canadian Mounted Police schooner that was used to explore the arctic area. The museum’s galleries feature many model ships including a fine bone china model of Vengeur du People, an 1800 French warship. There is also a library, maritime art, and the Children’s Maritime Discovery Centre. 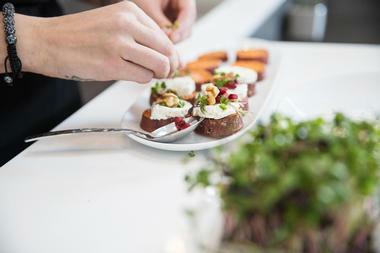 You may also like: 22 Best Things to Do in Montreal. The Museum of Anthropology, a part of the University of British Colombia, is the museum of world arts and cultures, but its main focus is on the British Columbia First Nations. The museum building is an architectural masterpiece in and of itself, and it’s the perfect home for the magnificent collection of First Nations art. The magical journey begins at the Great Hall with giant totem poles and continues on the Bill Reid Rotunda with its iconic sculpture The Raven and the First Men. Multiversity galleries hold over 10,000 objects from all over the world. The Audain Gallery is the place to visit if you want to see the museum’s latest visiting exhibition. Many of the museum’s totems are located outside, so take a stroll through the park overlooking the ocean with the mountains in the background and appreciate the spirit of the peoples who lived in the area for millennia. It’s official: a ride on The Rocky Mountaineer Train should be on everyone’s Bucket List, because it’s one of those things you just have to do. During this trip, you’ll experience the most spectacular, luxurious, and comfortable train ride in the world. They have five rail routes available, and whichever you choose, you’re guaranteed to have the experience of your life. The train only travels during the day, so that you won’t miss a single waterfall, bold eagle, or a deep gorge. It is the most wonderful way to see one of the most majestic sights in the world – the Canadian Rockies. And while you are enjoying the landscape, you can enjoy gourmet food, drink excellent wine, and be pampered like a king (or queen).